Many great visits to Iowa County, Wisconsin lately. The experiments in regional food system production we are running at the Innovation Kitchen are gaining significant attention from major investors, finance and development organizations, and governments from the federal though the local levels. The Highland IQF (Individual Quick Frozen) produce processing plant is emerging nicely. Many Innovation Kitchen business models are working. Supporters are gathering. Next few posts will focus on this news. 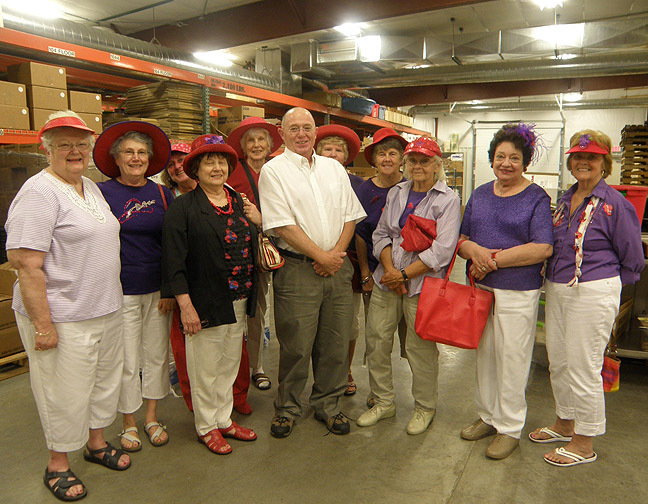 Photo is of my friends in our regional Red Hat Society visiting the Innovation Kitchen. One of my great friends, Tim Marshall, is smiling over my right shoulder. I'm the one without the hat.